All “moles” are not created equal. 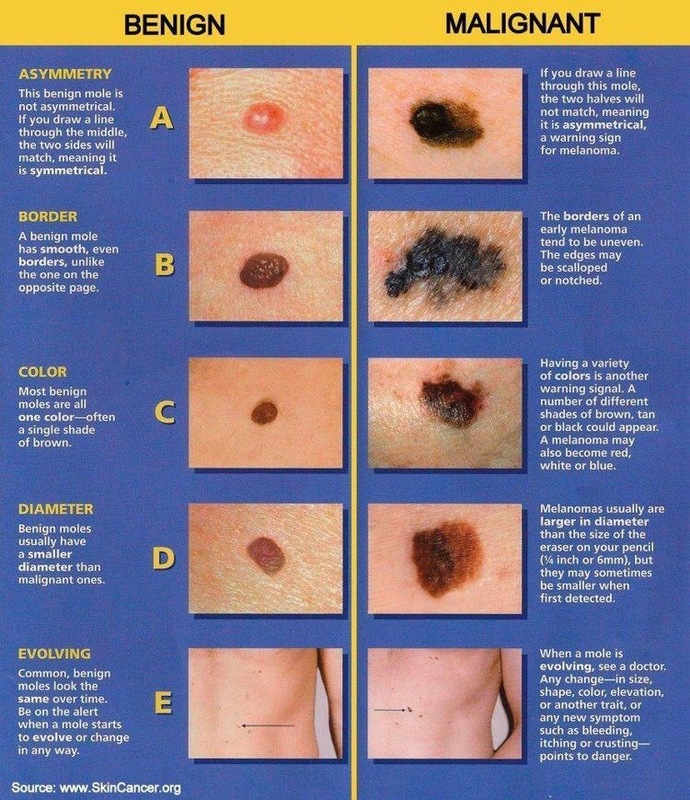 Melanoma is the leading cause of skin cancers deaths worldwide. For this reason, it is very important that individuals worldwide know how to recognize abnormal moles. I hope this simple diagram serves to increase awareness on what features to look for. It is highly recommend to see your dermatologist every year for a full-body skin exam. For those of you who have already had skin cancer, 6 month full-body exams are recommended. Be smart, check your skin routinely and it may save your life! We can write a brief article on skin tags in the coming weeks. Thank you for the request, Dorothy!